Charnett Moffett (born June 10, 1967) is an American jazz musician and composer known as an innovator and virtuoso who plays double bass, and fretless bass guitar and piccolo bass, . He currently leads and records and performs with his own bands and also tours and records in a duo capacity with singer, songwriter Jana Herzen. Moffett started playing bass in the family band, touring the Far East in 1975 at the age of eight. 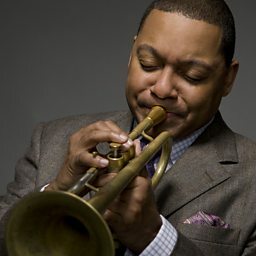 In the mid-1980s he played with Wynton Marsalis and Branford Marsalis. In 1987 he recorded his debut album Netman for Blue Note Records. Since that time he has recorded 13 albums, the five most recent for the multi-Grammy winning Harlem based label, Motema Music. 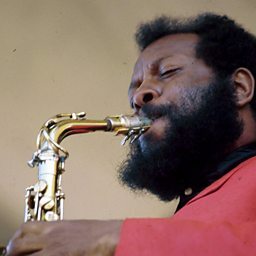 Now focused primarily on his own projects, Moffett is respected as a young jazz legend and has performed and recorded with many top players in jazz including Art Blakey, Ornette Coleman, McCoy Tyner, Wynton Marsalis, Pharoah Sanders, Dizzy Gillespie, Ellis Marsalis, Sonny Sharrock, Stanley Jordan, Wallace Roney. Arturo Sandoval, Courtney Pine, David Sanborn, David Sánchez, Dianne Reeves, Frank Lowe, Harry Connick, Jr., Herbie Hancock, Joe Henderson, Kenny Garrett, Kenny Kirkland, Kevin Eubanks, Lew Soloff, Manhattan Jazz Quintet, Melody Gardot, Mulgrew Miller and Tony Williams.